Trainer Ciaron Maher has made gear changes to his Anniversary Vase runners at Caulfield. 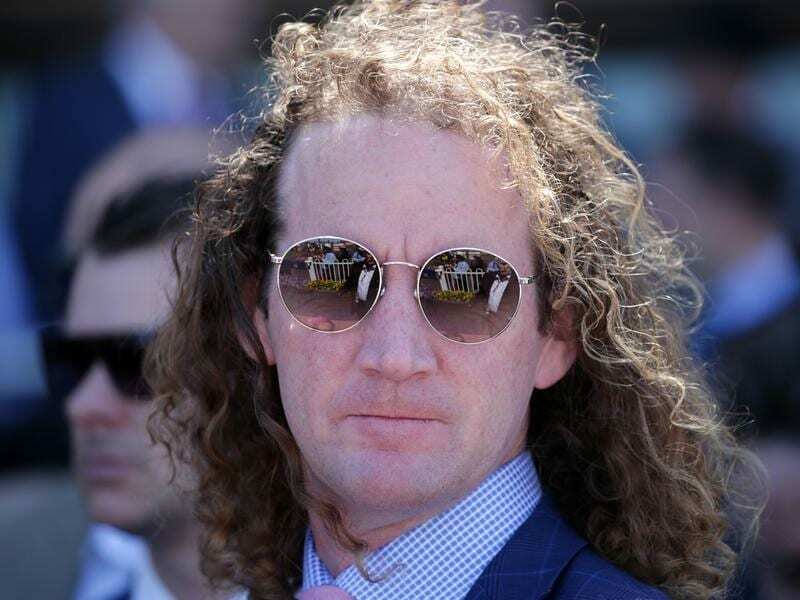 Ciaron Maher has opted to apply gear changes to both his Anniversary Vase contenders and is hoping the move pays off with improved performances by Naantali and Kemono in the Listed race. After winning at Caulfield over the Anniversary Vase distance of 1400m four starts ago, Naantali has finished second in both the Group Three Mannerism Stakes and Matron Stakes before a fourth, beaten just over a length, in the Group Two Sunline Stakes. The four-year-old mare drops back from 1600m to 1400m on Saturday and Maher, who trains in partnership with David Eustace, has removed the tongue-tie and cross-over noseband and opted to go with a Norton bit for the first time. “Naantali has been a really consistent mare,” Maher said. Naantali was on the fourth line of betting at $9 on race eve while Naantali’s stablemate Kemono was at $16. The Japanese import Kemono is yet to win from six Australian starts and steps up to 1400m for the first time since arriving in Australia having previously contested Group One races in Japan over 1600m. Kemono was fourth in the Listed Bob Hoysted Stakes at Flemington first-up this campaign before being unplaced as favourite in a 1200m Listed sprint at The Valley when he over-raced with blinkers on for the first time. “Kemono is a good horse and he’s in good order,” Maher said. “He’s up to 1400 and we’ve taken the blinkers off. “He over-did it in the blinkers last start but was good fresh over 1200 at Flemington. The Mick Price-trained Heptagon is the $3 favourite and is chasing his first stakes win after a convincing victory in the Echuca Cup over 1400m last start. “He just sat behind them there in the Echuca Cup and he sprinted really well to the line,” Heptagon’s jockey Michael Dee said. “Hopefully he’s freshened up again to do that again.